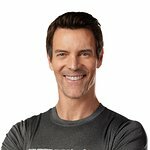 Fitness trainer Tony Horton, creator of “P90X Extreme Training System,” will serve as Race Marshal and will lead an open, pre-race warm-up for 5K participants on race day. 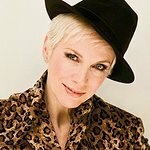 Horton speaks widely on fitness, exercise, and nutrition and has trained professional athletes, U.S. military personnel, members of Congress and celebrities such as Bruce Springsteen, Usher, Tom Petty, Billy Idol, Annie Lennox, Rob Lowe, Sean Connery and Shirley MacLaine. “I’m thrilled to be here in our nation’s capital kicking off this 2010 National Press Club 5K race because I’m a huge fan of endurance sports, the thrill of competition, and sweaty people,” Horton said. Proceeds from the 5K will benefit the National Press Club’s non-profit Eric Friedheim National Journalism Library (EFNJL), which is committed to journalism training, research, and support of a global free press. Some of the race proceeds will benefit the EFNJL’s college scholarship fund dedicated to students pursuing a career in journalism who will contribute to diversity in the profession. Hosted by the world’s leading professional organization for journalists, the “National Press Club 5K: Beat the Deadline” draws participants from the press and political communities. Reporters, politicians, lobbyists and government figures join the public to compete individually and in teams for $1,000 cash prizes for top finishers and medals for top age group finishers. All participants receive a “National Press Club 5K: Beat the Deadline” a commemorative race t-shirt and entrance to the post-race breakfast. To register for the “National Press Club 5K: Beat the Deadline,” visit www.press.org. Pre-registration is $30 for general registration and $25 for NPC members/students. Registration fee is $35 two weeks before the race, and $40 for race day registration. Melissa Charbonneau, 5K Vice Chair, at melcharbonneau@aol.com.